I was recently shown this photo of my class at Chowdhary School. I am the first one in the first row. It was taken in 1969/70. Unfortunately, I can’t remember the names of my classmates, so if anyone recognises them and could put names to faces, I would be very pleased indeed. Thank you. 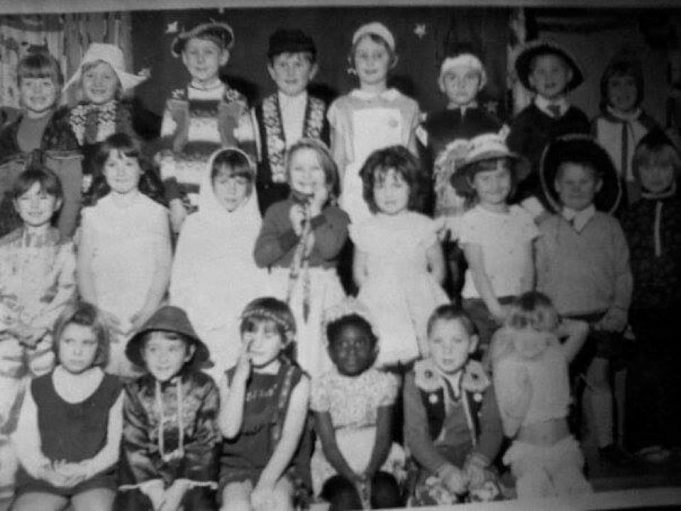 The girl back row top right on the end is our daughter Tracey English, she said there was a girl called Bella and another black girl named Debbie Charles who went to Canada. I have asked her to put her fifty year old head on and see if she can come up with any other names. Is that black girl me, Tracey but known as Bella?